It has been more than 6 months since I posted my first update on how I created my signature workshop in 3.5 weeks while I run my regular business. In the post, I also shared what worked and what didn’t. If you haven’t checked it out, you might want to do that first so that you get the backstory before diving into this one. My original intention was to share my process of creating one then testing it so that you would be inspired to work on yours. Since then, a lot has happened. So, it is time to invite you back to this topic and see how it has evolved. 1. Updates on how this effort of perfecting a workshop took an unexpected turn & what I took away from the experience. 2. Tips on what to do once you collect feedback from participants. By the way, you would appreciate knowing this fact, that I did not make this a priority for my business during the first half of this year. What I am about to share did not come from actively promoting or developing the original workshop. Things just started to happen without me doing much to it. Now, please don’t take this the wrong way. I am not in anyway suggesting you to lock up your workshop and throw away the key and, expecting an offer or an invitation will magically appear without you lifting a finger. Although I wasn’t actively working on it, it has always been on the back of my mind. This is key so that once you spot an opportunity, you can pull it out and look at it again from another perspective. We will go deep into how to execute this in this post. Check out pt. 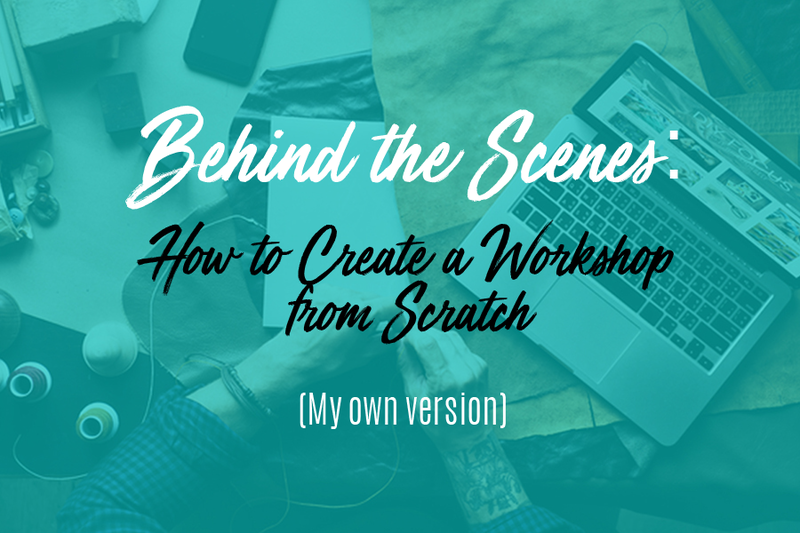 1 of How to Create a Workshop from Scratch here! After my first workshop was over in December, I dove right into prep for my February meetup. As the organizer of NYC based entrepreneur meetup group, Growth-Driven Entrepreneurs Worldwide, I host bi-monthly meetup events throughout the year. For the February event, I invited the author of “The Million-Dollar, One-Person Business,” Elaine Pofeldt. Her book was just released in the beginning of January, and it was perfect timing to have her over to share her experience interviewing several entrepreneurs who have built their 7-figure businesses without full-time employees. To make it even more special, she offered to bring one of the entrepreneurs featured in the book. This is how Laszlo Nadler from Tools4Wisdom came along and gave us loads of insights. Frankly, at that point, I had no time to think about my workshop. In the perfect world, I should have planned to do another one after making some tweaks in, say, March. I was already off to plan for the April meetup event. Just keeping up with my events was more than enough to fill my schedule. So, here is what I want you to know. We don’t live in the perfect world. If you aren’t able to do something as planned, don’t even feel bad about it. I didn’t. Fast forward to April, I was still in touch with Elaine as she had either hosted or participated in a few panel discussion events after my event, and I was following those over Twitter. In early April, she reached out to me with an idea for doing a joint workshop. This was completely unexpected. Honestly, I was stunned that she even thought of reaching out to me with an idea. Needless to say, I said yes right away as I knew I could not pass this opportunity. I was ready to find a way to work this out. Between Elaine and I, coming up with an outline for the workshop took no time. After exchanging a few emails and a couple of phone calls, “Million-Dollar Content Creation: A Systematic Approach to Generate Content that Your Ideal Customers Can’t Get Enough Of” was born. When you read posts and see someone describes the process that “took no time,” you might suspect that’s garbage. For the record, I want to let you know that I am with you. 100%. Your hunch is probably right that most of those articles are garbage because they aren’t telling us what truly went on behind the door. That’s why I want to take a bit of time here to explain why it took no time. It was mainly because I had my first workshop materials in my back pocket. That was it. You must understand one thing – my original workshop had nothing to do with content idea generation; the topic Elaine had in mind. That’s right; mine is about a completely unrelated topic which was business transformation. If you assumed that we tweaked my existing workshop, you are wrong. That was not going to work. But, it still helped immensely to put a new workshop together quickly. 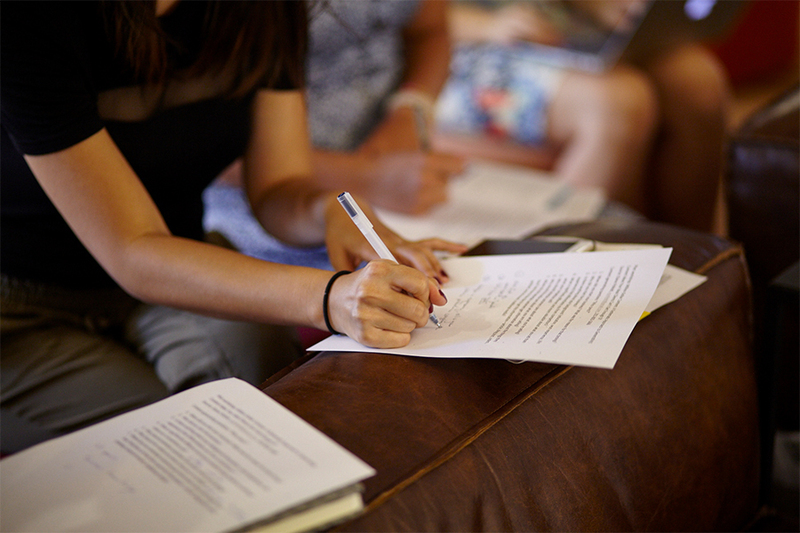 As you can see, creating your first workshop benefits you in many different ways. Once you go through the process of creating one, you become familiar with what it takes to come up with an outline. On top of that, you are already aware of how much time it requires to complete a full workshop and what the next steps are. Naturally, everything goes much faster than the time you spent on your first workshop. This is the reason it took no time. Let’s think about this for a minute. You may already have some slides you put together that you ended up not using. Or, you may have a course outline you worked on that you never finished. Maybe you feel you aren’t ready to pull them out again because they are the painful reminder of you not using them to the fullest to grow your business. But, I want you to reconsider. Nothing we work on is a waste. It is just waiting for the right moment to be rediscovered by us. So, before you turn down an opportunity thinking you can’t modify what you have, you should definitely give yourself a chance to ask yourself, “What if I only take XYZ from what I have?” and see if you can expand from there. Originally, we planned to host it ourselves somewhere in New York in May. This could have been completely doable as I had enough resources to pick a location and promote the workshop. 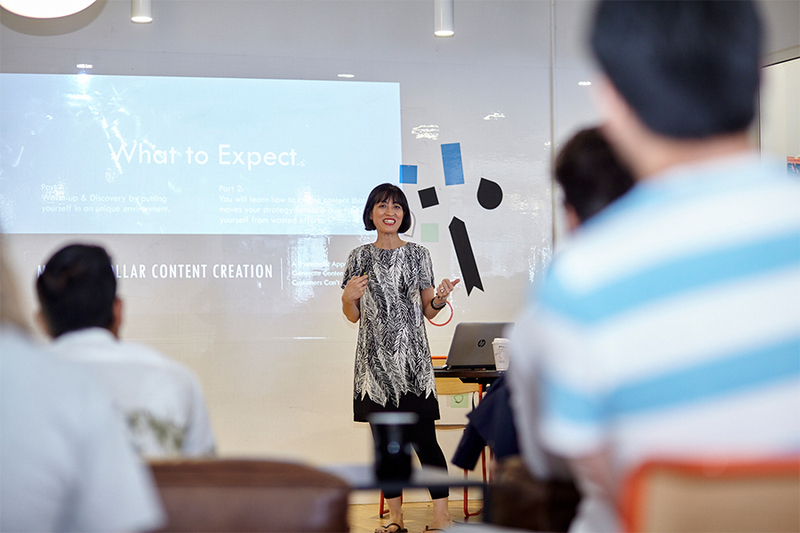 One day, while Elaine and I were finalizing the workshop, she told me that someone from WeWork is interested in making our workshop available to its WeWork Labs members. 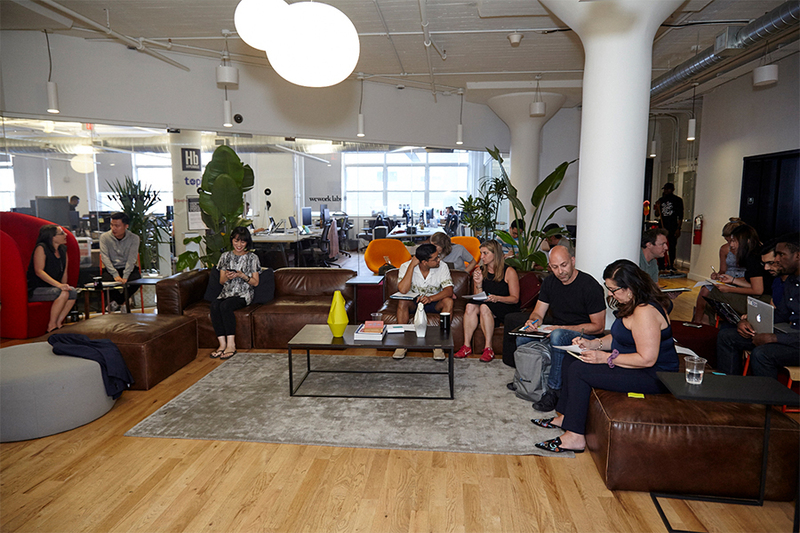 We quickly shifted our plan from hosting it ourselves to sharing the idea with WeWork. So now, we did not have to spend time on deciding on a venue and promote our workshop. This was incredible. As you can imagine, not having to deal with a venue and not having to promote it made our lives much, much easier. Much of June was spent on working with WeWork by answering questions, going through their vetting process and deciding when to host it. Because June was a demanding month for Elaine, we agreed to host one on July 18th. 3. We shared the same level of expectations. In sum, we were pretty easy-going about this project, and we had to be. There were many unknowns we had to face as this was also something new that WeWork Labs was implementing. So, if you are a type of person who needs to know everything beforehand, you would feel extremely frustrated. Back in late May, Elaine had a great idea that we should do a dry run before the actual workshop. This, I didn’t think of it at all partially because I was suffocating from the sheer workload back then. I am glad she thought of it. At that point, she already had some volunteers in mind. All I had to do was to spread the word to get a couple of additional volunteers. There were 6 volunteers, I only knew one of them. This was perfect so that we limit any confirmation bias to the minimum. This way, any feedback we get would be transparent. This workshop has 2 parts, and I go first. Interestingly enough, some had voiced their feedback while I was running my part of the workshop (not after the workshop.) It was mainly in regards to the chaotic nature of the assignments I gave them. This may have baffled some workshop presenters. Although I wasn’t exactly prepared for it, I had enough experience in running sessions where I was able to keep everyone going with the work at hand. Just to be clear, I was not dismissing any of those comments. First, I acknowledged them, then I offered an explanation as to why it was designed the way it was. If it were a case of my direction being unclear, then I absolutely had to correct this. That wasn’t the case. Elaine took charge of the second half, and it developed in a wonderfully unexpected way. Some could not stay until the end, so we were left with 4 volunteers then down to 3. At that point, it turned into more of a consulting session where Elaine offered insights and suggestions to their specific challenges. Everyone, myself included, enjoyed this part probably more than the workshop itself. In a formal workshop setting with possibly more than 12 participants, though, this would be problematic due to the time limit. We wouldn’t be able to talk to every single one of them in this manner. So, we both took a note on this to be mindful for the real workshop. I was truly thankful for the dry run suggestion. It gave us an opportunity to rework the workshop in time with the supplemental slides based on the feedback we gathered. By the time the official feedback came back, it was about a day before the official workshop. I scanned them through & took some mental note, but no further changes were made at that point. If you can, you may want to schedule your dry run 2 weeks in advance. This will give your participants enough time to work on their feedback, and you will be able to make modifications accordingly without feeling rushed. Leading up to the day of the workshop, our contact at WeWork had been phenomenal in a sense that he provided details and kept us updated at all times. This was incredibly helpful as I was still going through some heavy workload in my business, and I could not have been as proactive as I would be to check up on things under normal circumstances. When I have a project like this, I do my best to carve out some time, say a day or two before, to quietly do a few walk-throughs in my head and review notes. For this one, I had no time to do so. Here, I had to learn to be OK with it. The day had arrived, and 18 people showed up for the workshop in the beginning. I knew, due to the highly interactive nature of our workshop, that it was going to be a logistical challenge. I had a plan for such case, but it did not go as smoothly as I had hoped. But then, in hindsight, I am being a bit hard on myself. At the end of the day, we managed to keep the workshop more streamlined and organized compared to the dry run version. This would not have happened if we didn’t do a dry run. They all seemed to enjoy the unconventional nature of this workshop. (The photos don’t lie!) But at the same time, they wanted more information to get the kind of results they hoped for. The format of this workshop is based on “learning by doing” as opposed to a lecture style workshop where they sit back and listen. 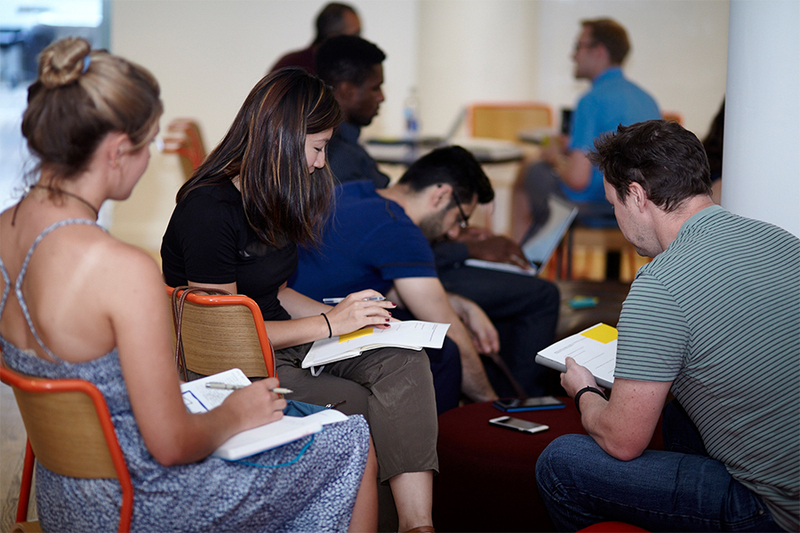 Understandably, participants would want to know how well they did, and they want to spend more time digesting what the exercises mean to them for their content idea generation process. Lastly, they would love a chance to talk to us in-depth about their ideas afterwards. The total allocated time was 1.5 hour. With the number of participants, it was too short to cover all of this all at once. Can this be fixed? Absolutely. The process of workshop creation gets a lot more fun from here on out as we now have lots of insights to make it better. Elaine and I have already done a post mortem on the workshop and came up with a list of things we will be implementing to improve the current workshop. While we were doing this, our discussion opened up for different directions as well. This whole experience has been an exhilarating journey. The next step would be to reformat the workshop to test it again. This time around, the changes we make will be rather drastic. Also, we are going to have a few different “spin-off” versions. We now have our work cut out for us. I get the feeling that this calls for another update post down the road, so stay tuned. In a sense, this was a welcoming detour for me where I was able to utilize something I already had. Plus collaborating with Elaine made me realize how fun it is to create something together as opposed to doing it all by myself. Here are some of my plans in the works. 1. Intermediate course based on the original workshop. 3. Possible online mini-course that is aligned with the above. 4. Extract small topics from the original for another project that I am not going to reveal just yet. 5. Create a rough spin off presentation for speaking opportunities. To recap, the essential part of creating a workshop is to be mindful of what else you can do with what you are about to create. It could be the case of “repurposing” all or parts of the workshop as I mapped out in the previous post. Or, take parts and customize it to appeal to a different audience. This is why you keep everything you have worked on. You never know when they come in handy! As you recall, when I ran my first workshop back in December, I have collected some feedback. But in the post, how to take advantage of all the feedback we get was not discussed. It’s interesting to see there are many articles and posts covering the importance of collecting feedback, but not enough of them covering what to do and what not to do with them. Here, I want to share my experience as well as my take on how to digest feedback effectively so that you don’t get caught up in self-loathing. Point blank - this is not the way to slice feedback you collect. It is easy to get sidetracked by positive vs. negative, but do resist the temptation. Instead, look at them from the perspective of relevant vs. irrelevant while keeping in mind what you design for participants to take away at the end of your workshop. For example, just because someone said he enjoyed the session and learned something knew does not prove it is easy enough for him to implement what he learned after he leaves the session. You may need to dig deeper by asking more questions to find out whether he has done the work. On the other hand, just because someone said she wished there was more time to do the exercise doesn’t necessarily mean you should allocate more time if it is designed to push her limit. In this case, you are not going to change the originally allotted time. Hence it is more important to assess how relevant their comments are to what you want them to achieve in your workshop. In other words, do your best to stay objective. Tip #2: Consider Where They Are At. 2. We had no means to pre-screen participants. Since we are clear on these facts, when we go over the feedback, we keep these in mind. Because of this, some comments will be stored under “irrelevant,” or “not significant enough” to call for adjustments. On the same note, Elaine and I almost had the identical view on some participants. While we were running the workshop, because we take turns, we were able to observe them closely. For this, we are aware whose feedback we would pay close attention to. Feedback can be viewed as symptoms. It is our job to search for a true cause. If you find a pattern or a theme from feedback, you can assess from a few different angles. Should the current format be tweaked in order to create enough time to cover this part thoroughly? Elaine and I both agreed that the answer was yes. We can cut the ideation part shorter to make some room. However, if we are to keep it under 1.5 hour, this alone would not be the sole cure. Then, we looked at time. We like this workshop to be 1.5 or less so that this can be done at any time of the day. 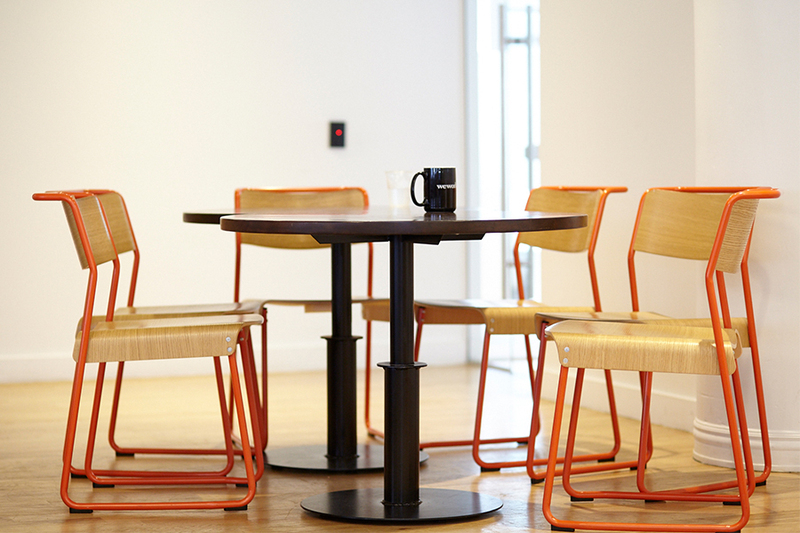 It could be a morning session, a lunch & learn session or an afterwork session. Anything longer than that would be difficult. The one I have done in December was nearly 2 hours, and some of them had to leave early to catch a train. In this case, time is a constraint that we need to work a way around. But then, we went back to look at the format again to see a follow-up session can be added. If we are to modify the current format so that they can see a clear path to complete a post, and some of them may opt for an additional workshop. Lastly, we looked at the class size. As you recall, we had 6 people for the dry run. We saw a benefit of a smaller class size. During the actual workshop, we both recognized that it was difficult to be attentive to all the participants. We reached a conclusion that 10 participants would be the maximum capacity for this workshop. 2. Being clear on the maximum class size. It is intuitive to start questioning the value of the workshop as a whole. I have heard from many that they “scrapped” the whole thing. But that is a trap you want to avoid. Before you throw in the towel, assess from different angles as we did. This is a systematic and objective way to digest feedback effectively. Now it’s your turn to get your workshop to be battle-tested. Share your experience or questions below in the comment section. Recovering Workaholic’s Staycation Gone Wrong: My Story & What You Can Learn from It.